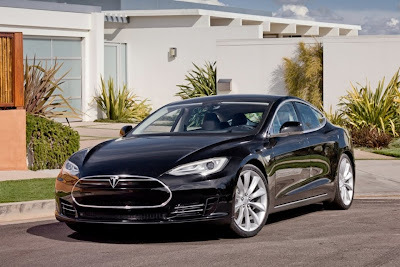 Tesla Motors original plan was to deliver 5,000 Model S in 2012. In their November letter to shareholders, they reduced their 2012 plan to between 2,500 and 3,000 while reaffirming 20,000 deliveries in 2013. This basically "shifted" the production ramp back about two months for all options not available at start of production. Once Tesla begin producing Model S with each option, they will be producing about 400 cars per week as each option phases into production, which roughly equates to 20,000 units per year. At the end of the third quarter of 2012, the company had orders for 13,000 units. Jerome Guillen, the company's director of Model S programs said the updated number is "significantly higher." The number of Model S orders on hand at the end of 2012 will be disclosed in early February. With Tesla's Fremont, Calif., assembly plant running at its full annualized run rate of 20,000 vehicles per year, the waiting time for a Model S has been trimmed to four to six months, depending on content, Guillen said. Tesla are working on an as-yet unnamed electric sedan about the size of the BMW 3 series. With a target price of $30,000 to $35,000, the smaller sedan will arrive in the next three or four years. "The focus is on cost down," Musk said in an interview. "We've got the range. We've got the capability and ride and handling. Now it's a question of how to optimize it." Musk expects Tesla to turn a quarterly profit in 2013 as sales volumes of the Model S sedan reach an annualized run rate of 20,000 units.